If you are a fan of getting a little geekier every day, well this info graphic is just what you need today. 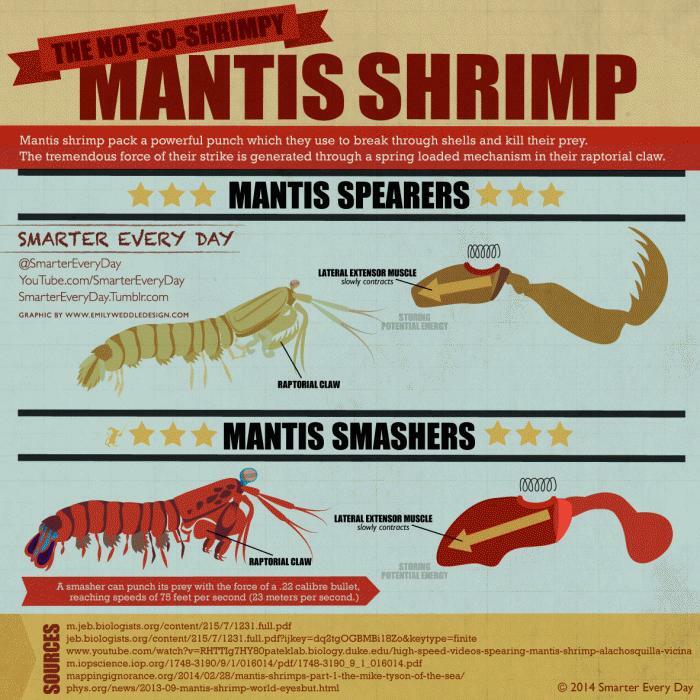 If you have ever seen a shrimp mantis I don’t have to tell you what power it packs in its punch. Let’s just say that you will rue the day you come face to face with one. But apart from the fact that they can be a tad scary for their prey, their claw and how it works has gotten some of the best scientists and engineers stumped, which may be why, Smarter every day has made this great infographic to help in the understanding of the whole thing.